In a large bowl, combine the ground chicken with the Cajun seasoning, cayenne pepper, panko crumbs, carrot, garlic, green onion, butter, hot sauce, salt and pepper. Moisten hands with water or lightly coat with oil, shape chicken mixture into 1-inch meatballs and place on a cookie sheet lined with parchment paper. Mixture should make about 45 meatballs and will likely require 2 cookie sheets to fit all the meatballs. In a microwave safe bowl, combine the ½ cup hot sauce, Blue cheese dressing and the crumbled Blue cheese. Microwave for 30 seconds, and mix well. 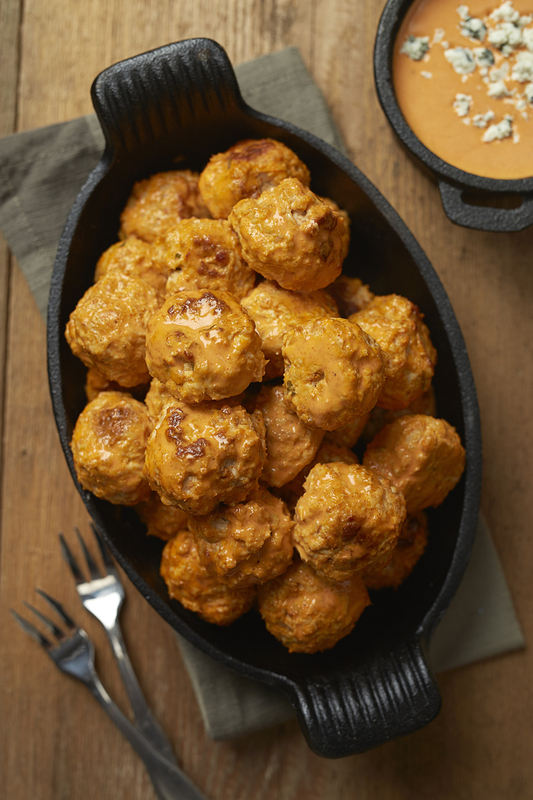 Pour ½ the Blue cheese sauce over the meatballs and toss lightly to coat. Tip: This recipe can be doubled or tripled.